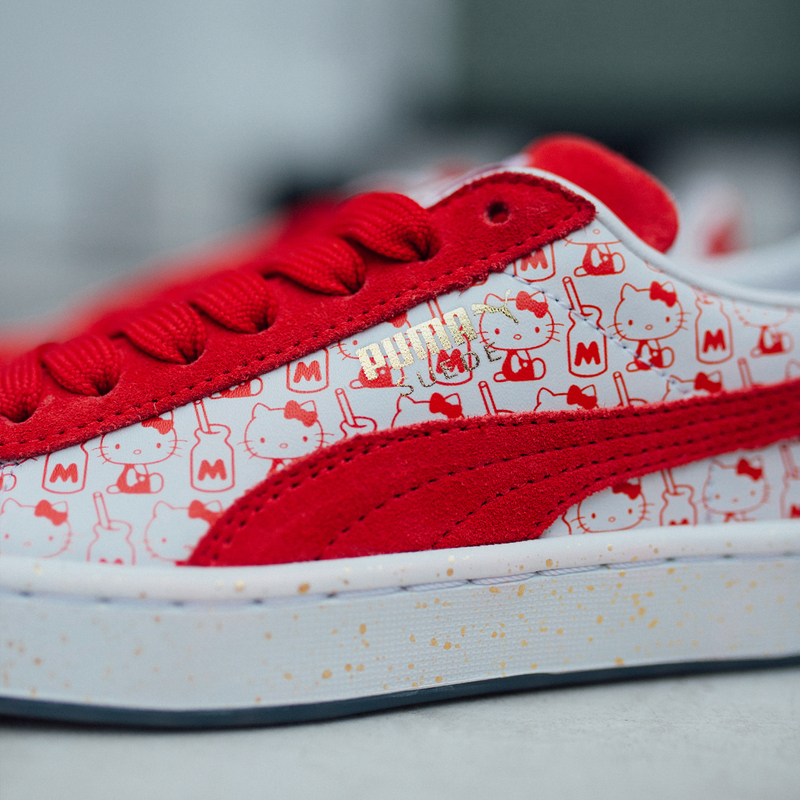 If you loved Hello Kitty as a kid you’re going to love this next collaboration with Puma. The Classic Suede sneaker is covered with the red bow-topped kitty and her milk jar which compliments the soft, red suede in the middle and on top of the shoe. Gold detail can be seen on the midsole and on the PUMA logo as a nice accent for the colorway. Not only is this collaboration showing off the adorable brand of Hello Kitty, but is the perfect colorway for the month of February with Valentines Day just around the corner from its release. Keep your Puma style updated with the latest and check out the Puma Suede Classic x Hello Kitty collaboration on May 11th at finishline.com.